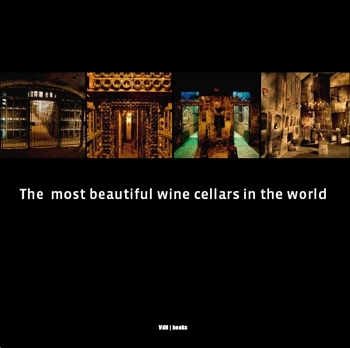 The most beautiful wine cellars in the world provides a unique perspective on the most beautiful, impressive and atmospheric cellars through which many a wine enthusiast would gladly be allowed to wander. An intercontinental journey through both ancient, hidden-away 'treasure troves' as well as latter-day wine cellars held by wine producing domaines, wine merchants, hotels, restaurants and private individuals. The entries were coordinated by wine connoisseur Jurgen Lijcops, who has worked as sommelier and chef-sommelier in a variety of leading restaurants. Thanks to the hundreds of full-page photographs and splendid details, you are able to take a fantasy tour passing alongside musty bottles centuries old, wrought iron gates in subterranean tunnels and grottos, wine racks stretching for kilometres, cellars not open to the public, wine archives, ageing cellars, glass wine cellars and contemporary cellars fitted with the very latest in gadgets. Different prices in different countries. Please contact VdH Books for more information. Really your book is a magistral artwork. I like it a lot. Congratulations! It is a great book.